"INSHORE" DAYTONA BEACH FISHING GUIDE! 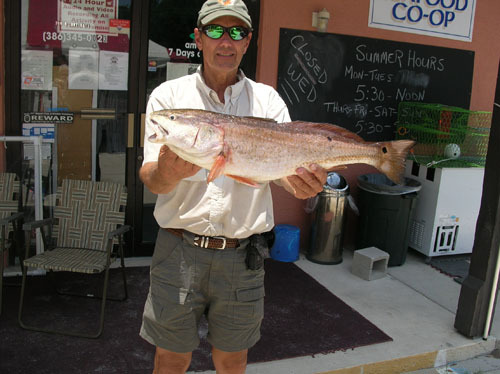 When visting the beautiful waters of Daytona Beach, Florida and the spectacular Downtown Daytona, don't forget to complete your activities on your vacation with an unforgettable day of inshore fishing with your personal fishing guide, Captain Barry. While the other guides are not catching fish, they are looking to see where Captain Barry is with his charter, as his charter group always has something on the line! 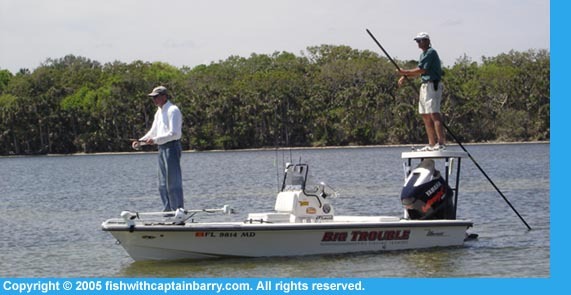 You can charter fish with Captain Barry for a full day or half day and feel 100% delighted that you made the right choice in choosing your Daytona Area Fishing Guide. Your #1 Daytona Beach, Florida Inshore Charter Fishing Guide!